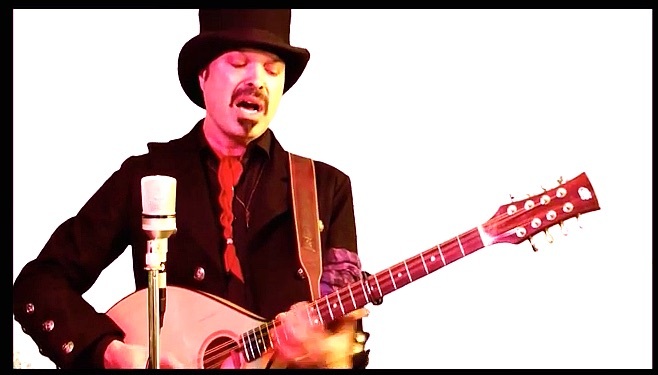 The Fuzz Junkies – Young Bearded Dreadlocked and Fuzzily Funky Sideburns , the Rythmic Musiketeers. 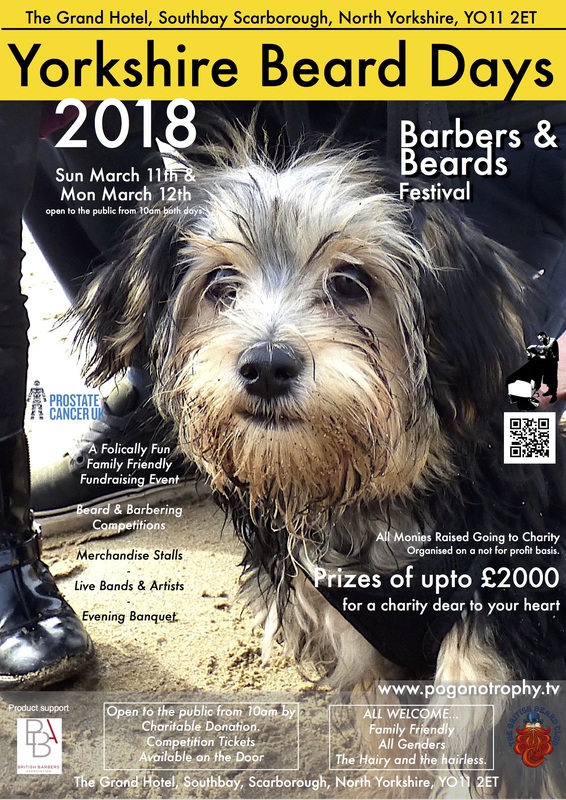 Click here to pre-register your beards in advance or turn up and register on the day between 2pm & 3pm Saturday 5th March, 2016 in The Spa Suncourt, Scarborough Spa Complex, Southbay Foreshore, Scarborough, North Yorkshire, YO11 2HD. Click here for info on the Bearded Bike Ride which starts at 12 noon and takes you round the many marvelous sights of Scarborough and brings you back in time for the start of the beard competition. It is with great pleasure we can tell you that Scarborough’s Town Crier David Birdsall will be our master of ceremony at this years Yorkshire Beard Day 2016 – TBBC Northern Beards Meet Up Free Public Event being held at the Scarborough Spa Complex on Saturday March 5th 2016. At 12 noon he will officially announce the start of proceedings at this years Yorkshire Beard Day 2016 and ring his bell as Bearded Bike riders set off on a cycle tour round Scarborough. 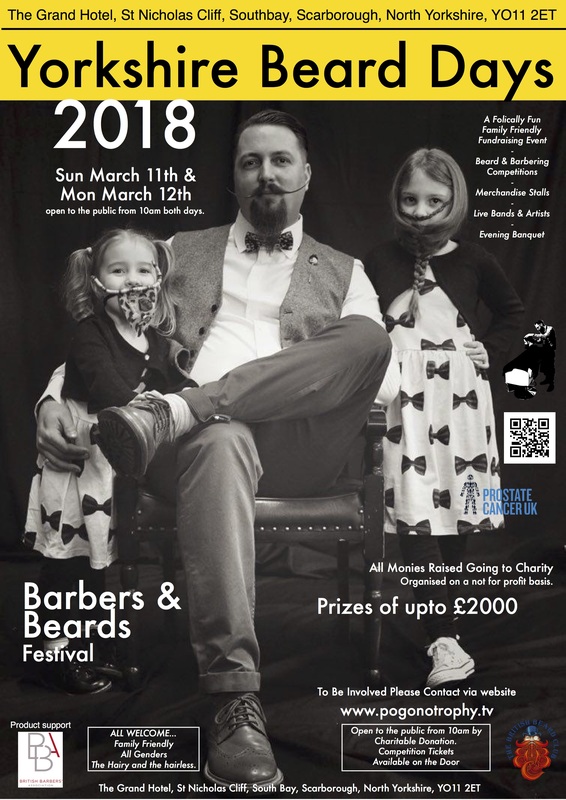 Later in the day he will join a panel of Beard Judges for the Yorkshire Beard Day Fun & Friendly Beard Competition which is being run by The British Beard Club and is open to all wearers of facial hair. 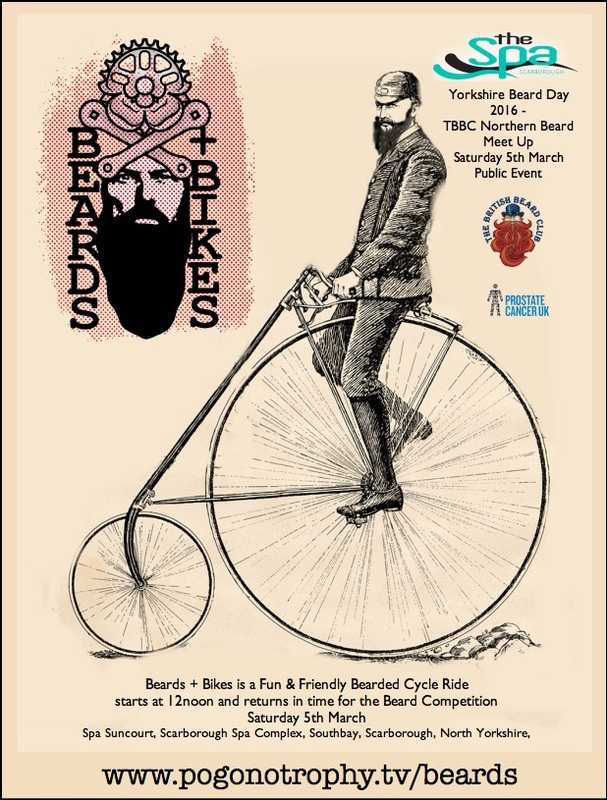 Pre-Registration for the Beard Competition and the Bearded Bike Ride is now open click here. Registration on the day for the beard competition takes place between 2pm and 3pm. The competition starts at 3:30pm when the Bearded Cyclists ride back into the suncourt to a round of applause. Enthusiastic & vocal Spectators of all ages and genders are very much welcomed & encouraged. 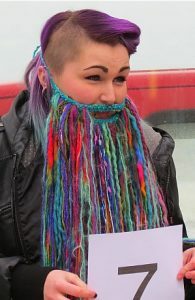 Between the Beards + Bikes and Beard Competitions you will be entertained by Beard friendly bands & artists as well as be able to browse stalls selling specially knitted Fake beards & an array of beard based merchandise plus specially brewed Beard Beer available from the public bar. 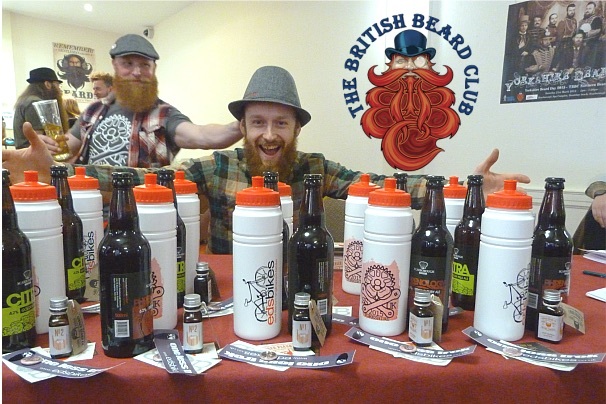 The Beard Beers created by North Riding Brewery this year go by the names of “Beardfiller” and “Baby Got Beard”. more info and tasting notes will appear in another post. There will be a bearded banquet at 6pm whilst we all await the results to be counted and at 7:30pm the Winner of Yorkshire Beard of the Year will be proclaimed and bragging rights awarded. After parties will be available and a list of Yorkshire Beard Day 2016 friendly cafes, pubs, bars and accommodation and their special Yorkshire Beard Day 2016 offers handed out. If you want to be on this list then please do contact us. 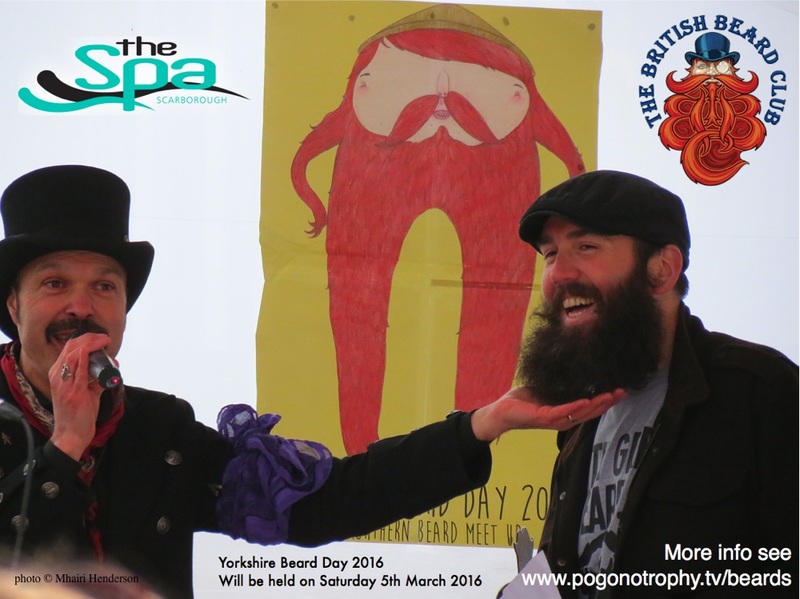 Yorkshire Beard Day 2016 Beard Comp Pre-Registration NOW OPEN! Our compère Captain of The Lost Waves will be one of the panel of beard judges appraising your Yorkshire Beards. You Can Now Pre-Register Your Yorkshire Beard Day 2016 Beard! Pre-Registration for this Year’s Yorkshire Beard Day 2016 Fun & Friendly Beard Competition organised by The British Beard Club is NOW OPEN! 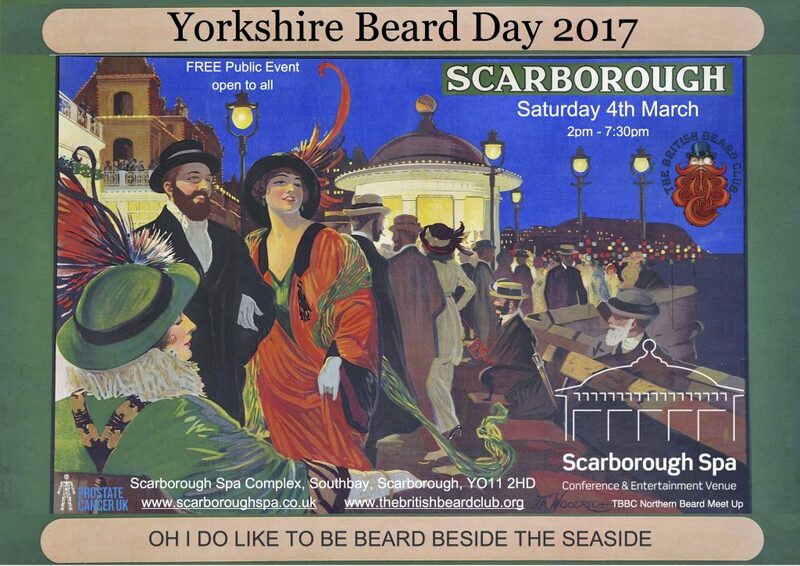 Yorkshire Beard Day 2016 – TBBC Northern Beard Meet Up takes place on Saturday 5th March 2016 at the Scarborough Spa Complex, Southbay, Scarborough, North Yorkshire. It’s a Fun Family Friendly Day out, FREE to attend and All are welcome. Photographers interested in setting up portable studios for taking portraits of the attending Beards can contact us using the Contact Us form and we can reserve you a space in the building. If you wish to sponsor the event or have a stall please get in touch via the Contact Us form and we will be in touch.